Today I have teamed up with Sugar Love Boutique for another amazing giveaway! Sugar Love Boutique has so graciously offered to giveaway a $100 Gift card to one lucky SOS reader! I love this leather jacket in todays post! The color is perfect and can be paired with so much. And I love that it is cropped so it will also be great for Spring. Yesterday I also posted this Floral top on Instagram. Floral is a huge trend for Spring and this top is only $29! Sugar Love boutique has such great prices and so many things on sale right now. You don't want to miss your chance at a $100 gift card that will go a long way! Sugar Love Boutique has also set up a promo code for all SOS readers. Use the code STYLE at checkout to get 40% off of your order! To enter just use the Rafflecopter widget below. Be sure to complete all of the requirements to be entered. The giveaway will run for a week. And I will email the winner once the giveaway ends..
Gorgeous! Love the necklace! Great giveaway! I have to ask - how tall are you? I see you in things and find they aren't as long on me. I love this look and pairing a soft blue shirt with dark jeans. What an absolutely adorable outfit! That jacket is fab! You're stunning and great giveaway!! Love the jacket and bag! The jewelry adds such a hint of glamour to the ensemble! Love the jacket, and all of your jewelry! 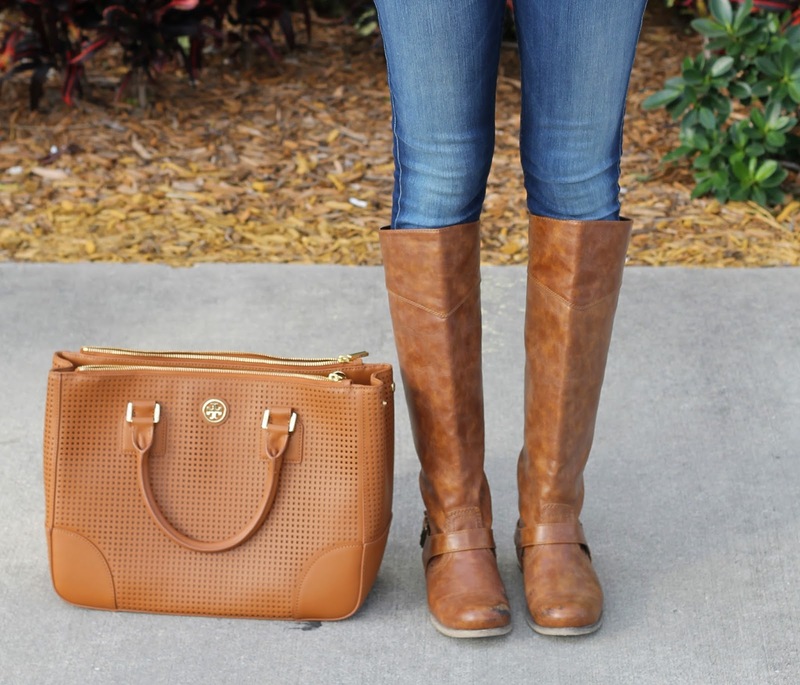 Obsessed with this outfit! Especially that jacket! 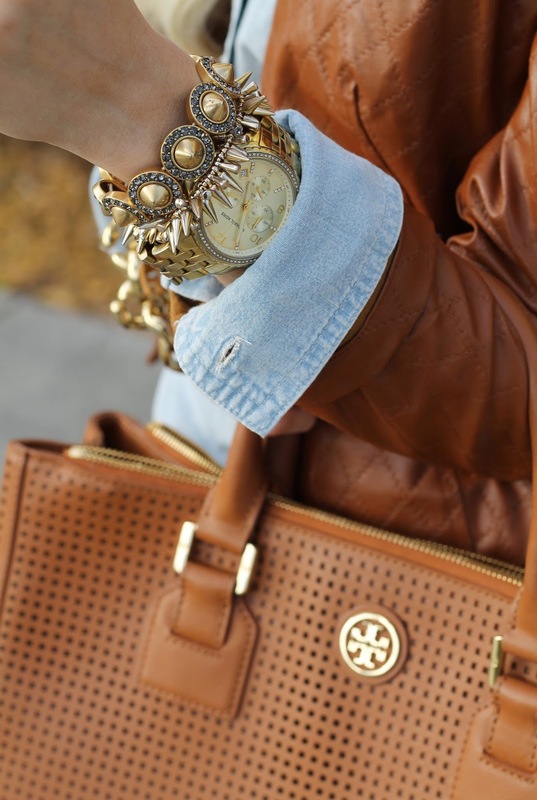 Chambray and leather! Great combination. Cognac, chambray, and sparkle...swoon! What a great outfit! This is a fantastic outfit! I love your jacket, and that bag... Love. Your hair is amazing! And I rly hope I can win, I need a new blazer to go with the Lola Minx dress I just got.... The Josie dress.... Readers of my blog will be getting a 50% discount to their store so stay tuned if you want $100-150 dresses half off!